This week, we look at America's wealth gap, Coca-Cola's controversial ad, and another approach to diversity reports. America's wealth gap is growing, even as unemployment hits a 17-year low. The top 1% now holds 38.6% of the nation's wealth, up from 33.7% in 2007, according to a Federal Reserve study. 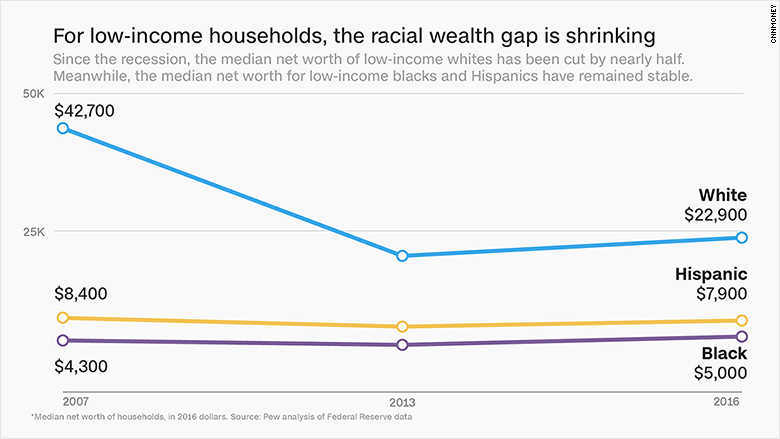 Also striking: The racial wealth gap for some low-income families has shrunk since the recession. The wealth of low-income white people was cut almost in half since the recession while the wealth of black and Hispanic families in the same bracket remained stable. However, that gap appears to be narrowing only for low-income earners. "The median white family is worth nearly ten times as much as the median black family and about 8 times as much as the median Hispanic family," reports CNNMoney's Lydia DePillis. Getting venture capital funding isn't easy. It's hard for women -- especially women of color. And even worse, black women. According to #ProjectDiane, black women founders made up only 0.2% of all VC deals between 2012-2014. Enter Arlan Hamilton. She started Backstage Capital to help fund underrepresented founders who identify as women, people of color and LGBT. It's already helped 50 startups since launching in 2015. Its goal is to reach 100 founders by 2020. She's also not afraid of rocking the boat when she needs to. "We've been uncomfortable our whole lives and the generations before us," she said. "It's okay to make others uncomfortable [sometimes]." Read more about Hamilton's journey here. A new ad presumably designed to empower Saudi women has gained the unenviable position of being likened to that Kendall Jenner Pepsi ad. The minute-long clip, posted on Coca-Cola Middle East's YouTube channel, starts with "a loving father teaching his daughter how to drive." But it's the ending that some people are upset about: after the woman drinks a bottle of Coke, she revs off into the distance, followed by the subtitles: "Change Has A Taste. Taste The Feeling." Some are slamming Coca-Cola for being tone-deaf. The ad comes just weeks after women were granted the right to drive in Saudi Arabia. "These companies think it is OK to take something and make it a brand," one student activist from Qatar told Newsweek. "They not only include themselves in a struggle they have nothing to do with, but they're literally using it to their own advantage so that they can make money." 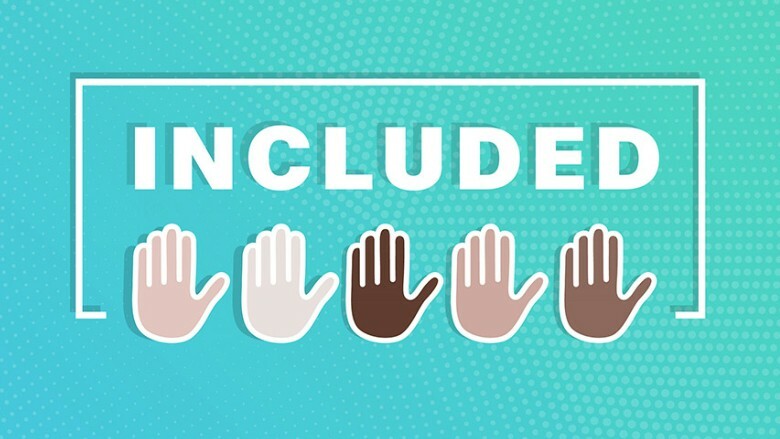 Underrepresented people in the workplace want affirmation that the bias they face is real, and there should be institutional support to address it. That's what Maxine Williams, Facebook's global director of diversity, argues in a Harvard Business Review essay. 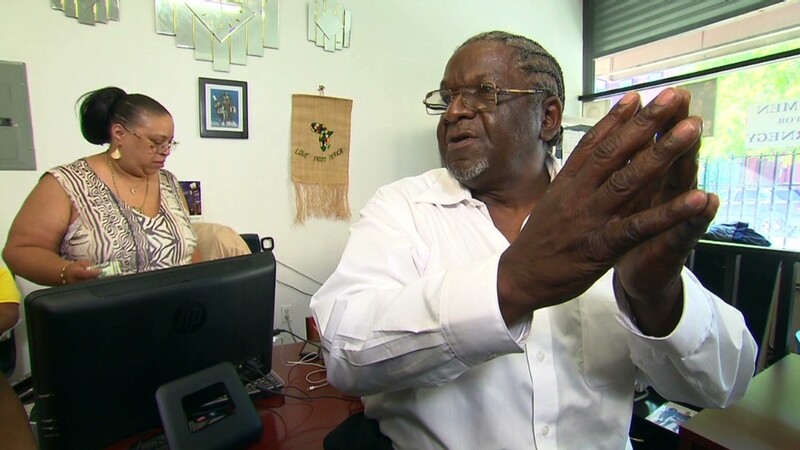 Although Facebook, like many tech companies, has faced criticism over lackluster gains in employing minorities, Williams says numbers can only tell us so much, especially when your sample size is small. "Basically they're saying, 'If only there were more of you, we could tell you why there are so few of you,'" she writes. She also calls for more individual and anecdotal assessments. "Algorithms and statistics do not capture what it feels like to be the only black or Hispanic team member," she writes. "We must talk openly with people, one-on-one, to learn about their experiences with bias, and share our own stories to build trust and make the topic safe for discussion."